High-end housing in London used to have skyrocketing prices. However, recent figures show a decline in its price gain, trailing its counterparts in other major cities in United Kingdom. Even more surprising is how poorer districts performed better. It used to be that foreign buyers were attracted to luxurious properties due in part to the financial crisis which resulted into a cheaper pound and political stability. At present, however, insecurity clouding the upcoming May 7 National Elections, threats of mansion tax legislation from the Labour Party, on top of high prices, have stifled demand for luxury homes. This is according to a report by Hometrack, a known property researcher. Specifically, Hometrack added that the Kensington and Chelsea boroughs had the smallest price gain in the last 12 months. In contrast, Newham, one of the cheapest boroughs in London, had the highest. The values in other major cities also increased once again, beating central London property prices for the first time since 2005. For example, Glasgow had an annual price increase of 7.6 per cent while Manchester had 6.8 per cent. Overall, price gain in London are still looking respectable, rising by 11.8 per cent – coming in second after Oxford, which had an overall price increase of 13.4 per cent. And it’s been recently reported that London property market is enjoying rental revival. According to Richard Donnell, Hometrack’s research director, the current pattern in price increase for regional cities is very much akin with that of the years 2011 through 2013. The major difference is that the demand from housing comes from local homeowners who at the same time occupy those properties. International buyers and foreign investors, on the other hand, are the major contributors crippling the price gains. Just to show exactly how low the price gains are for the luxury properties, Hometrack provided the following figures for price gains in the different London boroughs with luxury properties, and contrasted them with Newham, one of the cheapest boroughs. Average prices for Kensington & Chelsea, which also includes the Knightsbridge district, rose only by 3.4 per cent to £1.2 million (about S$2.4 million) over the 12 months. Coming in second is the borough of Hammersmith & Fulham, with a price increase of 5.1 per cent. Coming in third from the bottom is the borough of Camden. Wandsworth, the area where developers have been building apartment towers on the south bank of the River Thames at plots including the former Battersea Power Station, was the fourth from the bottom. It only saw a 5.8 per cent price increase. Lastly, coming in fifth is the borough of Westminster, which includes the Mayfair district, having a price increase of only 5.9 per cent. All of these are in contrast to the borough of Newham which experienced a whopping 14.2 per cent increase in pricing. It is to be noted that Newham staged most of the events during the 2012 Olympic Games. 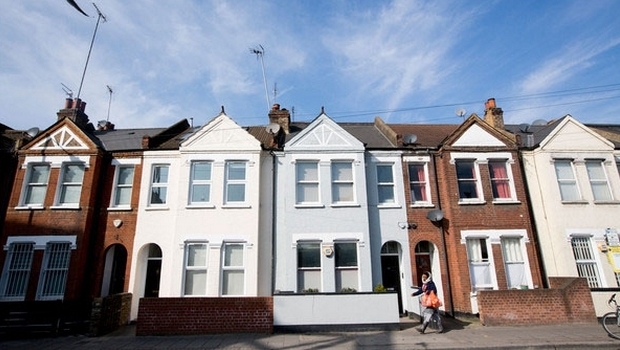 Hometrack said that overall, the average UK house price has risen by more than 20 per cent since 2009.